hey jen renee: oh word? 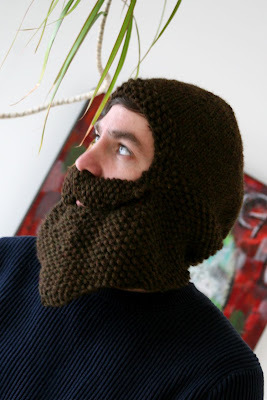 Behold ... the beard hat. I had promised to knit this hat for Bo awhile ago, and I finished it over the weekend. Quite handsome, in a Nordic awesome kind of way. It's fantastic, love it! I don't know if I could take on the challenge of that pattern? omg this is the perfect combination fantastic and ridiculous and functional and fun. ahhh. i looove it. haha. That is sooooo cool! I wish my hub was cool enough to wear something like that. This is fantastically, other-worldly, magnificently AWESOME! 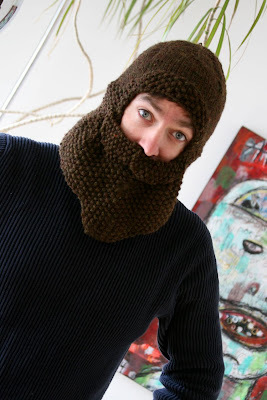 It's like a Winter-ized bee keeper and sooooo awesome! Pretty sure this is the first time I have posted a comment (although I've been reading for months). I'm a DSM girl too, love reading your blog to find out about all the fun artsy happenings in the area. Keep 'em coming! 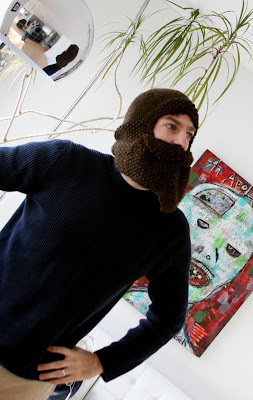 All he needs is some clogs:) So, amused by the nordic referance:) Hey, when it has been as cold it is I so would beard hat lady:) Love it. well done! it's really fun. 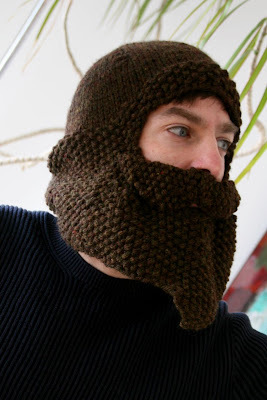 jealous of your knitting skilz. 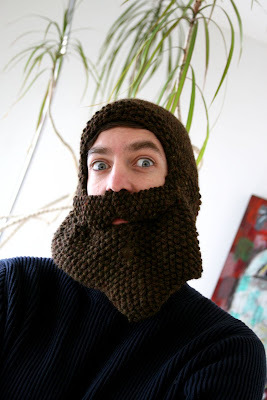 i would love to make one of these for my 5 month old son. ha! Hi, this is Jess from Lion Brand (@lionbrandyarn on Twitter). Your project is hilarious and beautiful! Thanks for using Lion Brand! Oh my - that is the coolest hat I think I've ever seen!! :) My hubby would totally love it, too!! Too awesome, too awesome. that's cool in so many ways; Jesus Christ SuperStar, Dirty Jim Morrison, Paul Bunyun, young Jerry Garcia, old John Lennon, Che Guevara, US Grant, ummmm...okay, that's all I got for now. omg, i am laughing sooo hard. i'm jealous because it looks sooo warm. Holy shiz! That is insane! 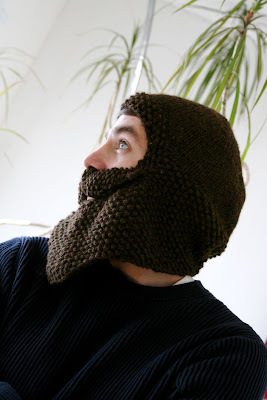 The Lion Brand site said the beard hat was hilarious . . . it is!! But I love your creativity!!! Glad to see young people still "let their freak flag fly"